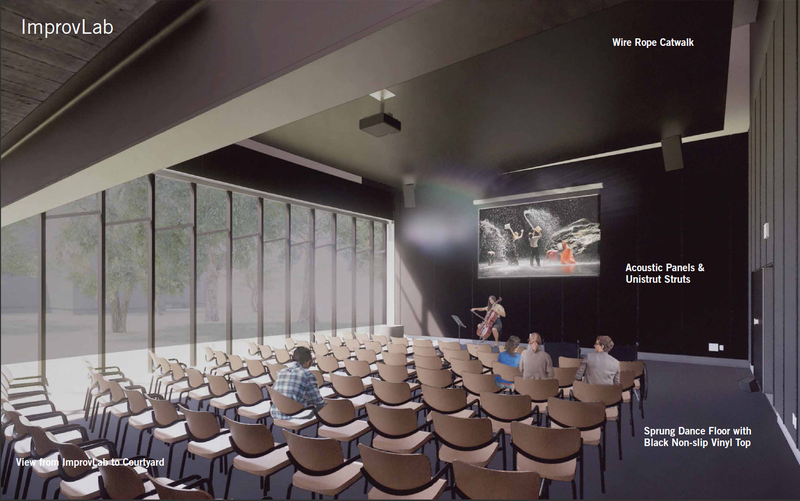 On January 25, Diamond Schmitt Architects presented the vision for the University of Guelph’s performing arts wing of the MacKinnon building, including the IICSI’s new ImprovLab! 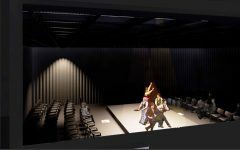 The ImprovLab, scheduled to open in 2020, will be a publicly accessible, state-of-the-art, technologically advanced research and performance facility for the advanced studies of improvisational artistic practices. Below are two rendered views of the ImprovLab presented at the Design Open House. 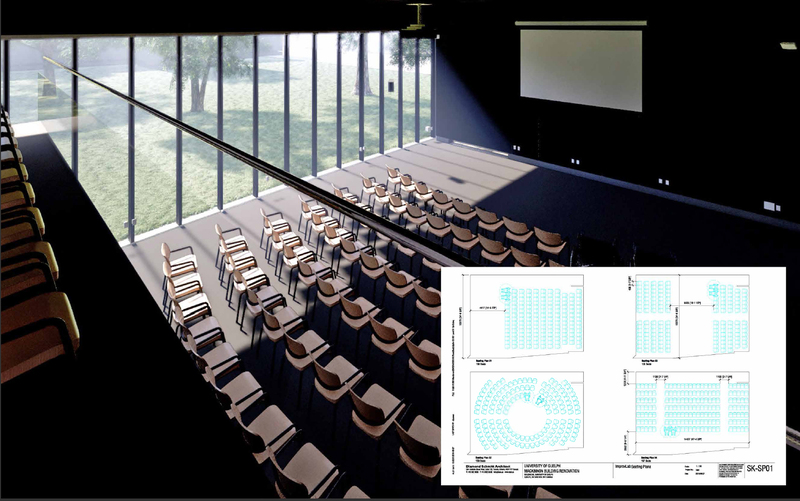 Inset in the first image is a blueprint of the vision for a fluid seating plan in the ImprovLab. Please visit the University of Guelph MacKinnon Renovations page for more details about the MacKinnon building renovation, ImprovLab, and to see all the rendering presented.